If you’re the adventurous sort, chances are high that the Argentine province of Tierra del Fuego is on your bucket list. 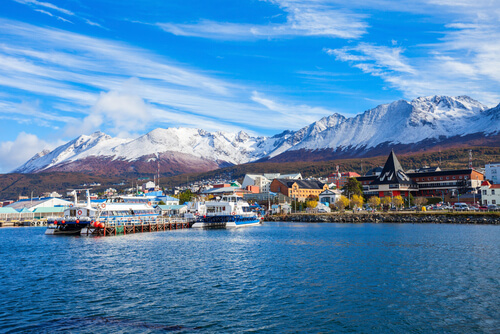 Ushuaia, its bustling capital city, serves as a gateway to the Tierra del Fuego National Park and Lapataia Bay, as well as a port for travellers heading on to Antarctica. With a growing population of 70,000 people, Ushuaia is by far the most populous urban centre is this area, and in recent years, has become a booming tourist destination in its own right. Most visitors are keen to grab the coveted ‘end of the world’ penguin passport stamp at the Ushuaia tourist office. Other iconic sights are the red-and-white Les Eclaireurs lighthouse, the “end of the world, beginning of everything” sign at the harbour, and of course, crowds of magellanic and gentoo penguins on the smaller islands around the coast. Hanging around Ushuaia’s local bars and restaurants often involves overhearing exciting stories from those recently returned from Antarctica. 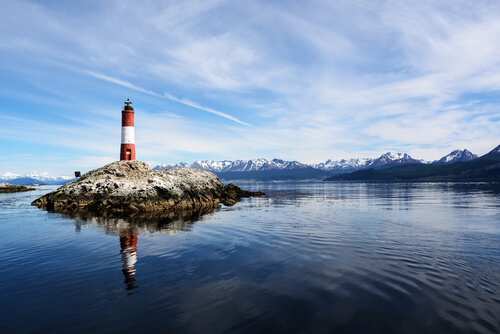 Thanks to its convenient spot between the Andes and the Beagle Channel, there’s plenty to do in and around Ushuaia, including skiing (including cross-country), wildlife viewing, dog sledding, golf, sailing, scuba diving, and of course, trekking and hiking. There are also several museums dedicated to the history of Tierra del Fuego, its flora and fauna, and its people. 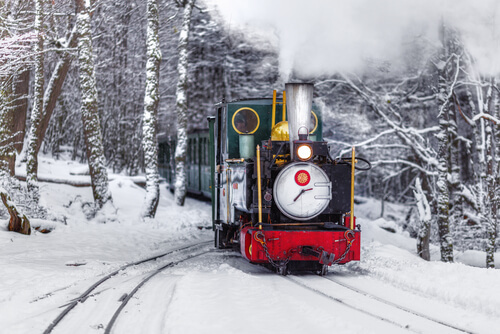 The Train of the End of the World is a popular historical attraction, based on the original prison train from turn of the century, which takes about an hour along the Rio Pipo valley. If you’re limited by time, take a day hike up the Martial Glacier, which offers panoramic views of the city and the Beagle Channel. There are also some beautiful half-day boat tours that offer stunning views of the mountains, tiny islands, and local wildlife. Due to its remote location, the cost of living in Ushuaia can be a little pricier than other Argentine cities. However, don’t be discouraged as Ushuaia is home to an incredible local selection of seafood. Must-try dishes are fresh centolla (king crab), regional merluza negra (sea bass), and cholgas (mussels). Patagonian fueguino lamb is also a popular option, cooked over a traditional iron grill or parrilla. Vegetarians can find tasty seasonal fare at more contemporary restaurants, though vegans might want to bring their own snacks as they navigate through animal-heavy menus in this part of the world. 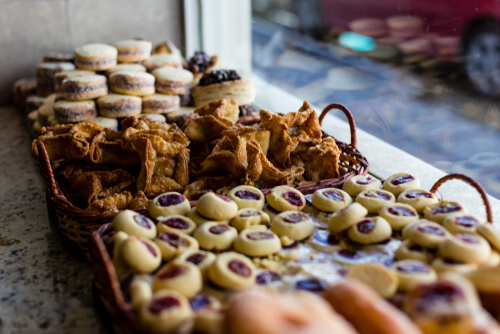 Ushuaia also boasts a range of cosy, quaint teahouses, continental cafes, and even an Irish pub with a locally brewed beer. Try a submarino – an Argentinian-style hot chocolate that involves dunking an actual chocolate bar into hot milk.